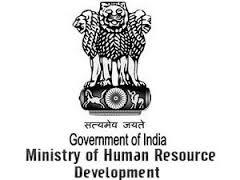 The Union Human Resource Development Ministry has framed an internship scheme which will provide opportunities for students from the undergraduate level upwards to work with officials in various departments dealing with education. This is formulated in such a manner that it will lead to more participatory governance. The scheme is designed to involve students in formulating policies and implementing projects. While the students will be exposed to the ways the government system functions, the Ministry hopes to tap into the thinking of young minds. The “MHRD Internship Scheme” is open to Indian students pursuing degree, postgraduate or research studies in recognised universities or institutions in India and abroad. The first batch of interns is expected to begin work on October 1. Each batch will have six interns to do a two-month internship with the Ministry on a monthly stipend of Rs. 10,000.